Navajo Pearls handmade beads. 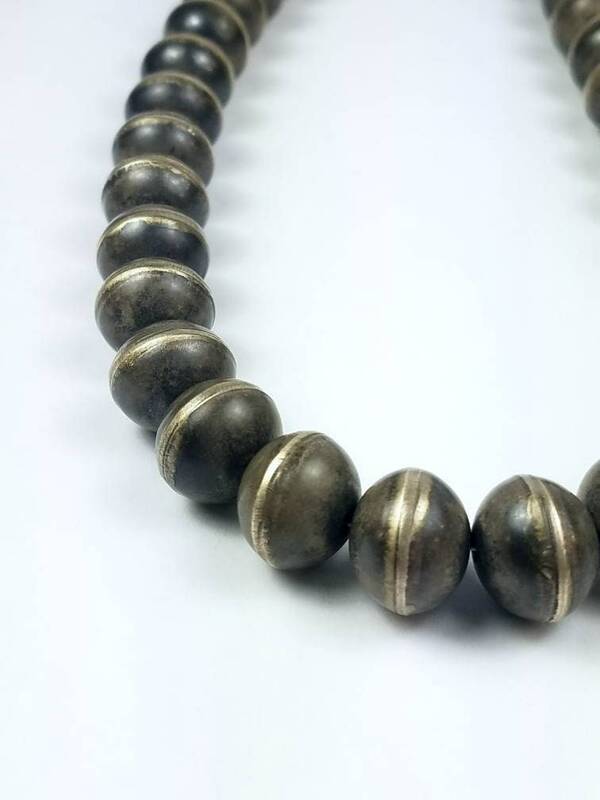 Handmade (hand made) beads are entirely hand crafted: cutting, stamping, dapping, drilling, soldering, filing, polishing, stringing is all done by hand. Hand made beads are very labor intensive, therefore much more expensive than bench made beads. 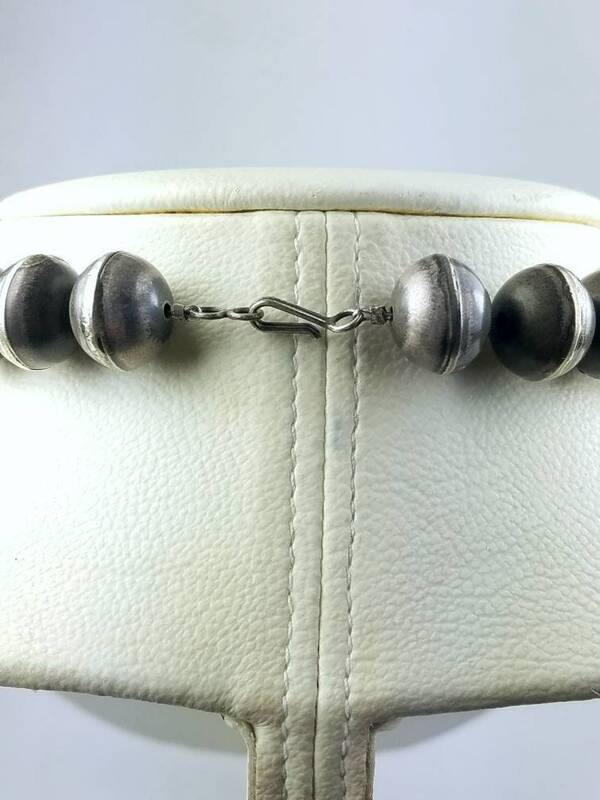 Also, when taking the time to make beads by hand, Navajo silversmiths generally use heavy gauge sterling silver, which also adds to the price. Handmade Native American beads are the most cherished and desired by customers. 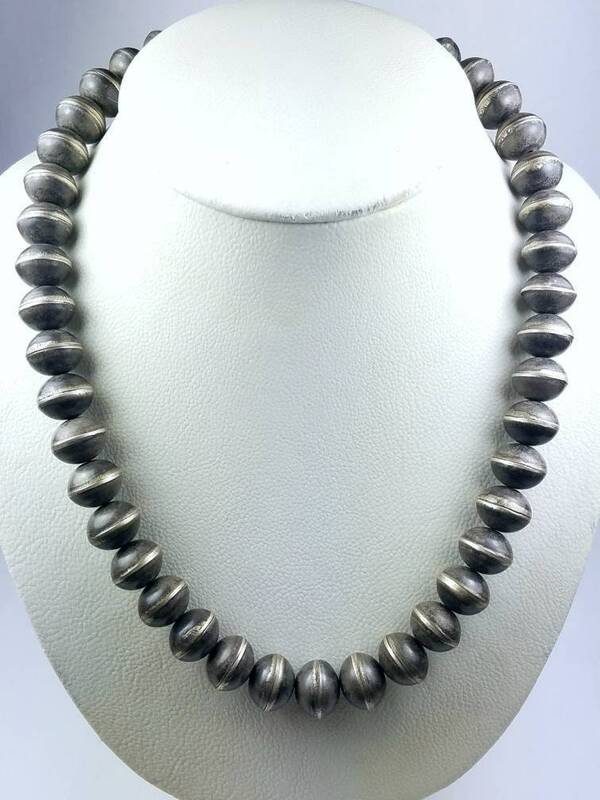 Because each bead is made individually, there might be slight variations from bead to bead.